Here are some useful tips on how to achieve healthy and long hair. Follow these 5 effective ways to stop hair breakage. Hair shedding of an average person ranges from 50-100 hair strands but when hair gets damaged, this number can rise considerably. If you are noticing more than usual hair on your brush or pillow, then it’s time to make some changes to your hair care routine. Some of the most common misconceptions regarding hair damage are that it can be reversed. There are many products that make tall claims to heal split ends or breakage but it is not possible. You can only stop damaging your hair further and take necessary steps to encourage healthy growth. To achieve healthy and long hair you need to work for it. 1. Trim away ends: This important hair care ritual is generally avoided by women who wish to have long hair. If done correctly, a trim is supposed to cut the dead ends and not long portions of hair. Dry brittle ends will ultimately split and hence should be removed at a correct time. Delaying this will make the damage even worse and you may be forced to go for an entire cut. An ideal time should be once in every six to eight weeks. 2. Avoid styling or combing wet hair: Hair is weakest when it is wet. After a hair wash, remove tangles from your hair using your fingers and not a comb, as it may damage fragile hair. Similarly, styling your hair may stretch hair which can finally break with a loud snap. 3. Stay away from Chemical Treatments and heat: Applying color, perming and excessive heat styling makes hair brittle and cause breakage. Excessive use of these styling methods strip hair of natural oils and permanently changes the texture. 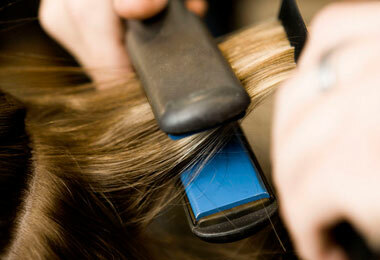 To take proper care, follow daily maintenance schedule as suggested by your professional stylist. Also, use heat styling tools such as straightener, curling irons and hair dryer occasionally. 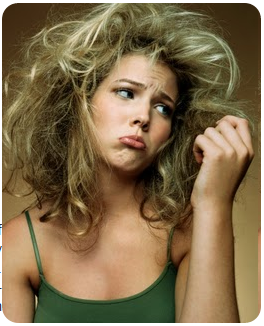 On the other hand, too much combing or everyday washing also damages the hair. If you wish to wash your hair every day, opt for products that have conditioning properties so that hair does not get dry. 4. Opt for a healthy diet: Improper diet also leads to weakening and breakage of hair. Processed foods items that are high sodium and sugar content can cause hair fall and hence should be avoided as much as possible. Incorporate healthy options which are rich in protein and Omega 3s, and drink plenty of water. 5. Underlying health concern: If you are experiencing excessive hair breakage or hair fall, then it can be because of more serious health related concern such as eating disorder, hypothyroidism, or vitamin deficiency. External symptoms can be a warning sign of an impending disease. In such a situation, you must visit your doctor to find out the root cause of the problem. By following right methods to take care of your hair and by eliminating the wrong ones, you will eventually have healthy lustrous locks.